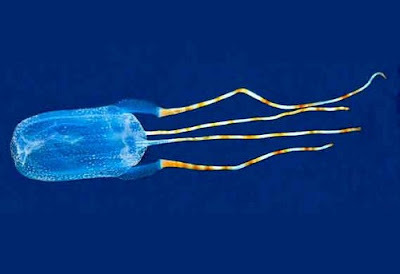 A species is one of the basic units of biological classification and a taxonomic rank. A species is often defined as a group of organisms capable of interbreeding and producing fertile offspring. No human knows the exact number of species in this world and every year many number of species are being found. Till this date more the 100 million species are found on this earth. 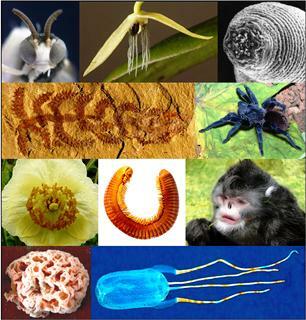 Now, let's take a look the top 10 new species of 2012 which was chosen by scientists from 200 nominated animals and plants. 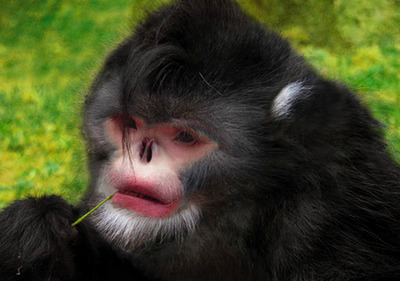 The sneezing monkey, or Rhinopithecus strykeri, is the first snub-nosed monkey to be found in the high mountains of Myanmar and is believed to be critically endangered. It is distinctive for its mostly black fur and white beard and for sneezing when it rains. The odd-looking monkey is known to avoid dripping rainwater in its turned up nose by sitting with its head between its legs. 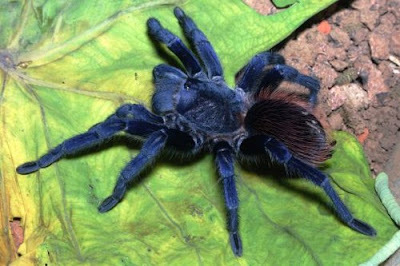 Not only is this iridescent blue tarantula breathtakingly beautiful, it is the first new animal species from Brazil to have ever made it to the annual top 10. The survival of this striking, iridescent blue hairy spider from South America, is at risk due to loss of habitat and over-collecting for the pet trade. Pterinopeima sazimai inhabits tabletop mountains in a remote part of eastern Brazil. Many newly discovered species are small in size or secretive in habits, but not all. This beautiful and vibrantly colored poppy has remained unknown to science until now. Blossoming at an incredible 10,827 to 13,780 feet in central Nepal, it's no wonder the horticultural phenomenon has not yet been found. 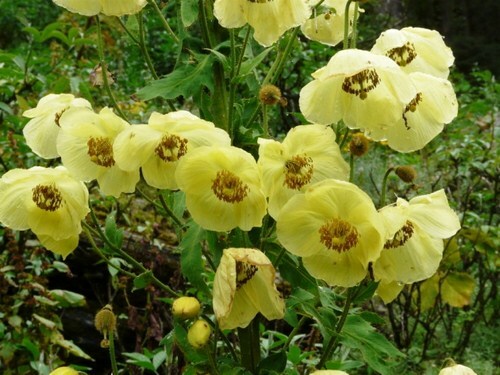 The poppy blooms in the autumn monsoon season and can only be reached by hiking miles into the Himalayan wilderness. 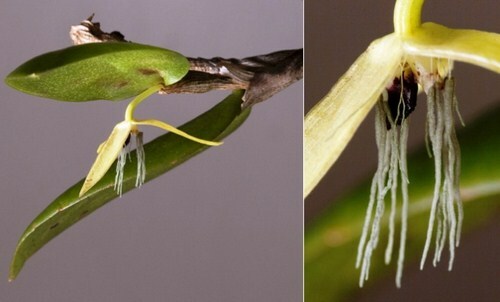 The discovery of this new species is significant because it has the first night-blooming flowers recorded among the more than 25,000 known species of orchids. The slender bizarre-looking flowers of Bulbophyllum nocturnum are rather small and start to open around 10pm but close the next morning, lasting only about 12 hours. 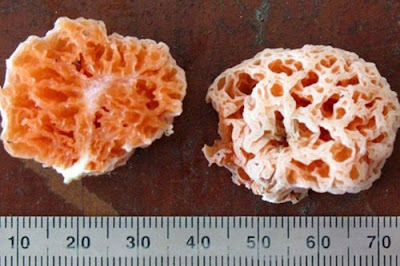 This new species is known from a single plant and may be at risk due to habitat loss from logging. 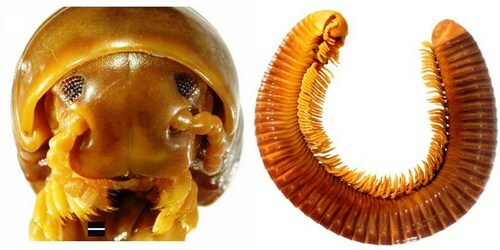 Although this millipede is no match in length for the giant African millipede which measures 38cm, this new species holds a new record as the largest millipede (16 cm) in one of the world’s biodiversity hotspots, Tanzania’s Eastern Arc Mountains. 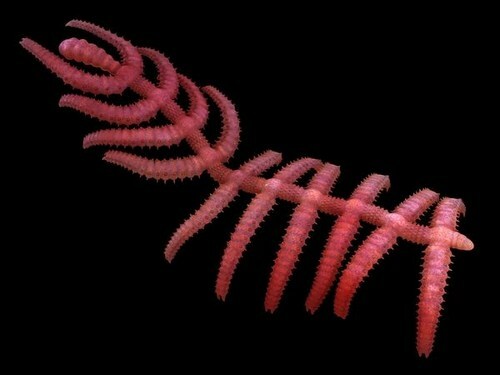 It's name is appropriate given the fat, sausage-like shape of the millipede’s body about 1.5 cm in diameter. The creepy crawly's body contains about 56 podous rings ( body segments bearing ambulatory limbs ) – each with two pairs of legs.You would find this creature in the eastern and western Usambara Mountain forests at elevations of 940 to 1800 meters in decaying wood. 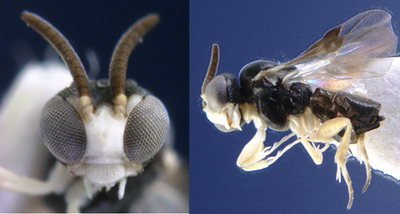 This new species of parasitic wasp cruises at just one centimeter above the ground when in search of its target. When its host is located - an ant - this teensy wasp attacks from the air like a tiny dive bomber and deposits an egg in the unsuspecting ant in less than 0.05 seconds. 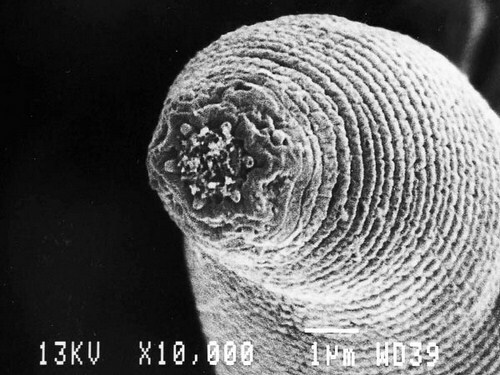 Measuring about 0.5 mm in length, these tiny nematodes are the deepest-living terrestrial multicellular organisms on earth. Discovered at a depth of 1.3 km in a South African gold mine, this species is remarkable for surviving immense pressure as well as high temperatures below the planet's surface. This new species looks more like a cactus than an animal at first glance, but Diania cactiformis belongs to an extinct group of lobopodians which had worm like bodies and multiple pairs of legs. 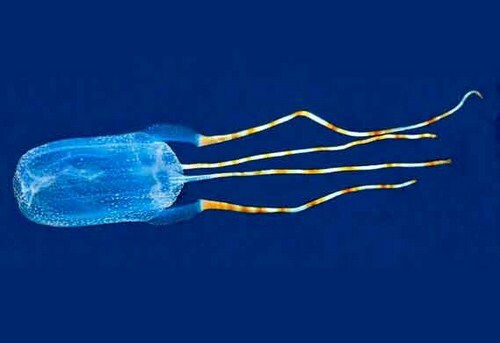 Measuring about 6 cm long (2.4 inches), it was first discovered in the famous Chengjiang deposit in southwest China in Cambrian deposits about 520 million years old. The ancient, spiny creature nicknamed the 'walking cactus' that may have used its bristly legs to capture prey.